Introducing the Opti-Fit Tactical Gas Mask. 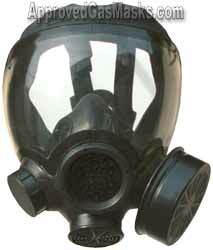 Developed specifically for first responders in tactical, NBC and riot control situations, the Opti-Fit Tactical gas mask provides respiratory protection from nuclear, biological and chemical agents in addition to riot control agents including CN, CS and pepper spray. 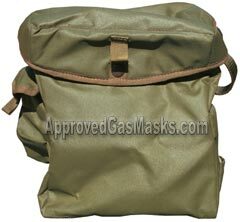 The Tactical Gas Mask is based on the popular Opti-Fit full facepiece APR. And because it features SURVIVAIR’s superior Opti-Fit lens, you enjoy a virtually distortion-free field of vision, critical in high-risk situations. Facepiece constructed of soft silicone for comfort, fit, and durability. 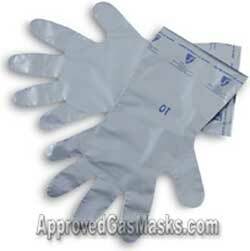 Three sizes (small, medium and large) ensures excellent fit and protection for most facial sizes and shapes. 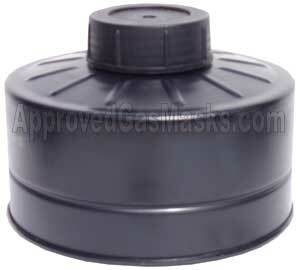 Three-position canister mounting - adaptable for various applications. Anti-scratch coated polycarbonate lens is virtually free of distortion provides excellent optics and acuity, making it applicable for tactical use. Meets ANSI Z87.1-1989 (R-1998)2 standard for impact and penetration. DIN-threaded 40 mm connectors make attaching filters quick and easy. Standard	nose-cup - reduces lens fogging. 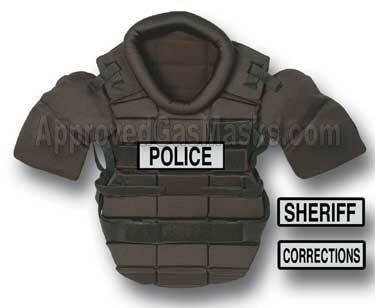 Five-strap, silicone head harness easily adjusts and secures mask. NIOSH approved with the Model 1688 Canister, provides protection against a-choloracetophenone (CN), o-chlorobenzylidene malononitrile (CS) and includes a P100 filter for use against particulates such as pepper spray. 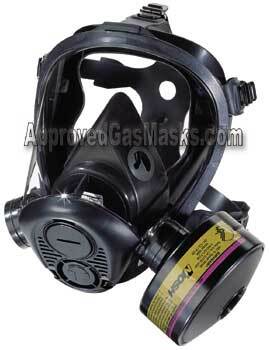 The SURVIVAIR Opti-Fit Tactical Gas Mask was tested against various chemical warfare agents including GB (Sarin) and HD (Mustard-liquid and vapors). 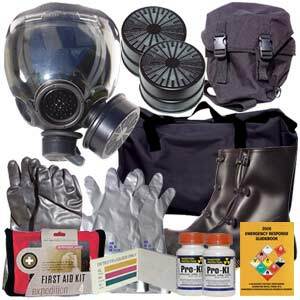 Third party testing provides assurance that this respirator is effective against chemical warfare agents. 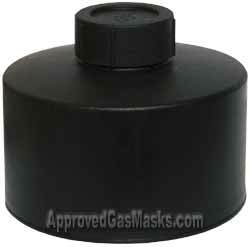 Contains a frame for prescription eyeglass lenses that fit into the Optifit gas mask. User must have prescription lenses fitted into the frame. - Exceptionally high particle-filtration capacity and low breathing-resistance.